RTI, a control and automation manufacturer for residential and commercial environments, announced that its XP-8v Advanced Control Processor was honored with a SCN InfoComm Installation Product Award in the category of "Most Innovative AV Automation/Show Control Product" at InfoComm 2018 in Las Vegas. The third generation of RTI's XP-8 advanced control processor, the XP-8v combines the advanced control options of its predecessors with a new Cortex A8 CPU for increased processing power and expanded two-way driver support. Expanding the processor's capabilities even further, its RAM memory and internal non-volatile Flash memory have been upgraded to 1GB and 512MB, respectively. 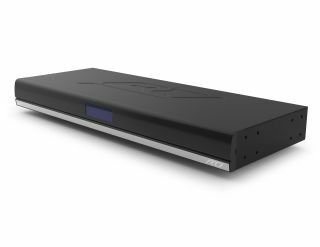 The addition of an HDMI output enables intuitive control via on-screen display, providing users with the convenience of a customizable interface on their TV. "We loaded the XP-8v with all the horsepower and features our dealers need to deliver reliable control and integration in large-scale homes and commercial installations," said Brett Stokke, director of marketing for RTI. "It's an honor to have our efforts recognized at InfoComm by SCN magazine and its readers with this prestigious award." The SCN InfoComm Installation Product Awards showcased the most innovative commercial AV products of 2017. Finalists were selected by an independent judging panel of experienced integrators, with winners chosen by SCN readers via online voting.